This was the 3rd year of the October BCA games. This jersey was acquired by NFL auctions after the 10/9/2011 game, and was received unwashed with marks and soiling from that game. 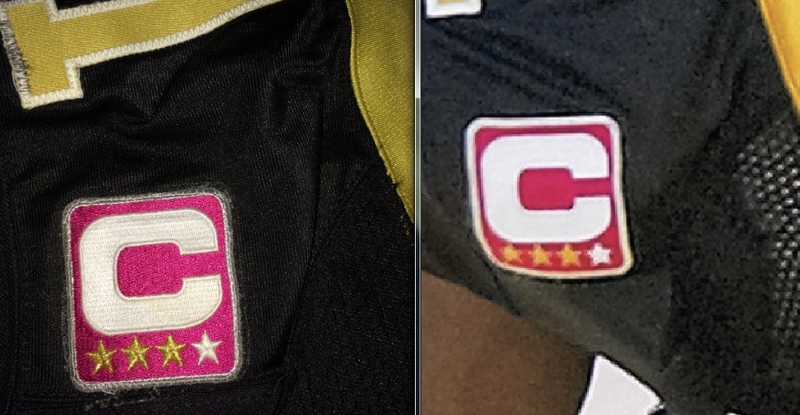 on 10/2/2011 vs the Jaguars the week prior, Vilma wore the same jersey, with the same Pink Captains patch, strong wear to the jersey helps confirm it was worn in both games. A photo from the 10/2 game showing Vilma at the line of scrimmage, would be used for Sports Illustrated when "Bountygate" was the cover story of the 3/12/2012 Sports Illustrated issue. See the multiple photomatches to both 10/9 and 10/2 games below for comparison. . 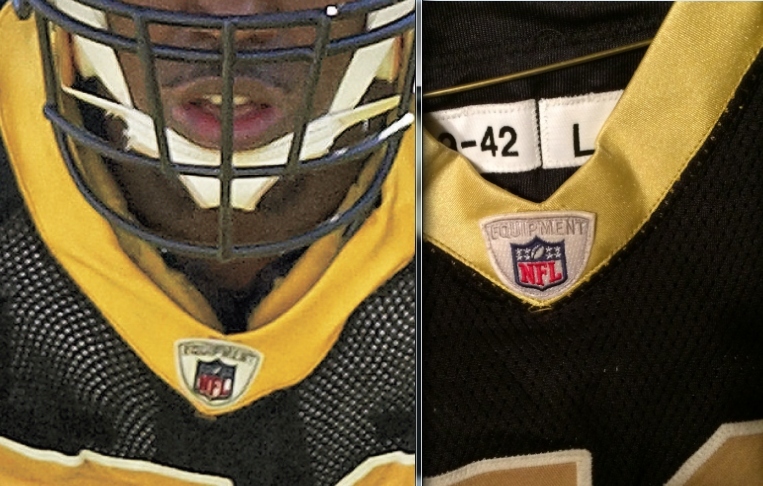 Above see the photomatch, soiling on the back numbers of Vilma's jersey. Above, note the match of the neck shield position, and loose threads. Below, note the match, the Capitain's patch appears to have been adhered with a generous amount of glue before being sewn on, the glue has smudged around the borders of the patch. You can see the glue outline on the S.I. photo as well upon close examination.